Correct dispersion of pigments or additives into the polymer matrix. Dispersion assessment by optical and SEM microscopy. To introduce new additives/pigments without degradation. Thermal studies of all the additives to avoid degradations. 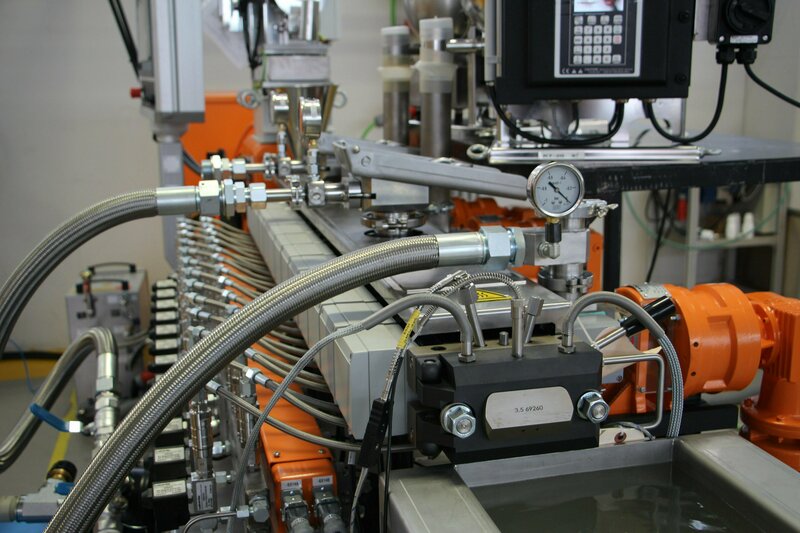 Our experience in compounding with all kind of fillers with different polymer matrices was obtained working the last 15 years in many research funded European projects. It gave us a specialized work methodology and know-how that we apply to create the appropriate experimental design, including the most important factors affecting filler, pigment or additive dispersion. To develop new MB from new pigments, fillers or additives. To make short batches of masterbatch from 0-50 kg. Effective mixing in co-rotating TSE. Dilution studies in injection moulding or extrusion to assess the appearance in final items.